This is the first in an ongoing series designed to showcase up and coming talents in the world of comics and graphic story-telling. Published by independent comics stalwart, Drawn & Quarterly Publications, this first issue was originally intended to feature three tales. Anders Nilsen, however, bowed out of this issue as his story ended up being too long (! ); so we still have something more to look forward to. As a result the book sports a new, lower price: $14.95 instead of $18.95. Not to worry, however: the work that is presented here is more than enough to put this series on solid footing. The volume opens with a multi-layered contribution authored by a long time stalwart of self-published comics, St. Louis based Kevin Huizenga: A triptych featuring his fictional stand-in, Glenn Ganges (“like the river”) in which the central tale, 28th Street, a loose, offbeat adaptation of the Italian folk tale, “The Feathered Ogre,” is bookended by a pair of tales which, while sharing with 28th Street the identical locales and cast of characters, are more purely realist, with the latter, The Curse, being identified in the sub-title as being “based on a true story.” Despite these intra-textual shifts in generic conventions, each of these stories segues smoothly into the next, with the finished product reading as an organic whole. Huizenga has, over the years that he has been laboring in the comics field -- primarily on that barely arable north forty which is tenanted by the itinerant laborers of the self-publishing, mini-comics community -- developed an extremely dense visual style, filled with a wide variety of idiosyncratic techniques that he employs with great dexterity. More than perhaps any other comics artist of his generation, Huizenga is constantly at work figuring out new elements to expand the visual vocabulary of comics, and in the three tales here he shows no sign of letting up in this developmental drive. In the lead story, he employs free floating images and text within certain panels to represent those moments when thought becomes untethered and a free associating meandering of consciousness occurs as parts of the mind disengage from the matters at hand and drift. The narrative context within which these moments take place provides the thoughtful reader with insights into a connection between doodling and daydreaming in human neural wiring. In the third tale he inserts into word balloons a variety of combinations of text, mathematical formulas, small, simple abstract line drawings, and even cartooned images -- all printed in the single additional color with which all three stories are printed (a light olive drab) rather than the standard black in which all other text is printed -- to convey the songs/sounds made by starlings, which, as the supporting text points out, are gifted mimics, in order to represent to sources of their “language.” Yet, despite all this seriousness of purpose, Huizenga's work retains a playful element. His style is firmly grounded in the classic cartooning school of comics, with obvious precursors being E.C. Segar, Roy Crane and Hergé among countless others. And in The Curse, there is a fairly obvious reference to a specific work by Crumb. Readers who would like to explore Huizenga's work further are strongly encouraged to learn more here. Serving to balance the relentlessly analytical style of the Huizenga triptych is the tale by Canadian-Swiss artist Nicolas Robel that follows, 87 Blvd des Capucines. (We feel compelled to interject the observation that both this tale and the central Huizenga tale, 28th Street, employ a combination of street name and number in the title, suggesting a hard-boiled "just the facts ma'am" type of tale, which in fact turns out in both cases to be entirely belied by the story which follows. Was there any editorial direction on this, or was it pure coincidence? In either event this duplication serves to reinforce the suggestion of a nascent feeling that the hard reality of our lives is but a thin veneer overlaying the hidden mysteries of our actual being.) This tale is essentially an emotional one. Robel employs a visual vocabulary that appears to be made up of equal parts of David Sandlin, Julie Doucet, Debbie Dreschler and Ron Rege (but, of course, may not, in actuality, be) to convey the interior life of a twenty-something women forced to realize that the traumas of her past continue to inhabit her present as she reaches a crucial transition point: moving to a new apartment. Perhaps it's her first, perhaps she's moving in with a boyfriend. It's hard to be sure, and the vagueness on this point seems to be a deliberate attempt to universalize this particular dilemma so that it may serve to represent a broader category of personal development milestones. The art is very dream-like at times and works well in supporting the narrative's task of diagramming a relationship between mind, body and spirit and then situating this trinity into a schematic of the material world. 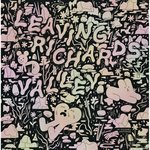 While the artist Nicolas Robel is, presumably, male, the story is nevertheless primarily concerned with capturing the interior life of its female protagonist. This aspect of the story also serves as a counterweight the essentially masculine concerns addressed in Kevin Huizenga's work, providing the anthology with at least a sort of gender balance, if only on the narrative plane. The stories in this volume work together with the common cause of pushing the reader to recognize that life is lived on many different levels simultaneously and continuously. In the due course of our daily lives we are rarely, if ever, aware of this fact. To the degree that it is the function of art to confront us with this ever present yet ever hidden reality, these tales can be judged a success. To the extent, however, that the work can be said to provide readers with intellectual and creative tools to further develop their abilities to form constructive relationships with these multiplicities, Huizenga's work stands alone. 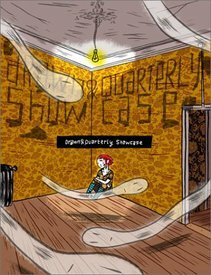 All in all, this premier issue of Drawn & Quarterly Showcase, despite the lack of the initially expected work of Anders Nilsen, is a very promising start for what we can only hope will be a long running series.